Shire Plc was a Jersey-registered, Irish-headquartered global specialty biopharmaceutical company. Originating in the United Kingdom with an operational base in the United States, its brands and products included Vyvanse, Lialda, and Adderall XR. Shire had its primary listing on the London Stock Exchange. Shire has a secondary listing on NASDAQ. Shire was acquired by Takeda Pharmaceutical Company on 8 January 2019. Shire was a global biotechnology company focused on serving people with rare diseases and other highly specialized conditions. The company's products were available in more than 100 countries across core therapeutic areas including Hematology, Immunology, Neuroscience, Lysosomal Storage Disorders, Gastrointestinal / Internal Medicine / Endocrine and Hereditary Angioedema; a growing franchise in Oncology; and an emerging, innovative pipeline in Ophthalmics. The original corporate headquarters was located in Basingstoke, Hampshire, England. Main offices are located in Dublin, Ireland, the United States in Cambridge, Massachusetts and Chicago, Illinois and in Zug, Switzerland. In addition, Shire owns manufacturing sites in Lexington, Massachusetts and Social Circle, Georgia. 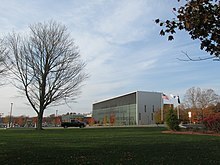 Shire’s headquarters in Lexington, MA will be integrated with Takeda’s new U.S. headquarters, which is being relocated from Deerfield, IL to the Boston area. Shire was founded in 1986 in the UK by four entrepreneurs: Harry Stratford, Dennis Stephens, Peter Moriarty, and Geoff Hall. Under the management of Rolf Stahel Shire was first listed on the London Stock Exchange in 1996. Shire's initial products were calcium supplements (Calcichew-D3) for patients seeking to treat or prevent osteoporosis. In 1997 the company acquired Pharmavene for £105 million in order to access Pharmavene's drug delivery methods. Later in the same year Shire acquired Richwood Pharmaceutical Company, forming Shire-Richwood Inc. In 2001 the company acquired Biochem Canada. Shire's next acquisition didn't come until 2005 when it acquired Transkaryotic Therapeutics and two years later - in 2007 - New River Pharmaceuticals Inc, for a then company record of $2.6 billion. With the purchase of New River, Shire gained access and ownership of Vyvanse. A year later the company acquired the German company Jerini, for $521 million. Jerini focused on treating hereditary angioedema. In 2008, in reaction to new taxation measures announced by the Labour Party in the treatment of royalties on patents, the company moved its tax domicile to Dublin, Ireland. 2010 saw a change in company strategy, with the company seeking to expand through mergers and acquisitions - culminating in the company becoming one of the most acquisitive in the industry. In 2010 the company acquired Movetis, a Belgian company focusing on gastrointestinal products for $565 million, a year later it acquired regenerative medicine manufacturer Advanced BioHealing. In 2012 the company acquired FerroKin BioSciences for $325 million along with FerroKins lead iron chelator - FBS0701. 2013 saw the company complete its highest number of acquisitions with Lotus Tissue Repair, Inc. (lead compound, ABH001), SARcode Bioscience Inc., with the last being ViroPharma. Shire changed the name of ViroPharma to Shire Viropharma Inc. upon acquisition and on their final day of trading the company was valued at $3.3 billion. At $4.2 billion, ViroPharma set a new company record. In 2014 Shire acquired two rare disease drug companies: Fibrotech with its antifibrotic compounds for $75 million, and Lumena, a company researching rare gastro-intestinal and hepatic compounds, for $260 million. In 2015, NPS Pharmaceuticals was acquired for $5.2 billion, bringing along its rare disease drugs Gattex and Natpara. On their final day of trading, NPS had a market capitalisation of $4.99 billion. The company also acquired, later in the same year, Meritage Pharma for $245 million, Foresight Biotherapeutics for $300 million and Dyax for $6.5 billion. The purchases bolstered Shires gastro-intestinal and rare disease sectors, with Phase-III-ready treatment - Budesonide - for the treatment of eosinophilic esophagitis. As well as expanding the company's pipeline with a late-stage treatment candidate for infectious conjunctivitis with lead candidate FST-100 and increasing the company's rare disease catalogue with Dyax’s portfolio of plasma kallikrein inhibitors against hereditary angioedema (led by the approved drug Kalbitor and the Phase III DX-2930). In January 2016, the company made its most significant purchase, with the $32 billion acquisition of Baxalta (which had been spun-off from Baxter the previous year), creating the largest global biotech company focused solely on rare diseases. In April 2018, Shire agreed to sell its oncology business to French pharmaceutical company Servier for £1.7billion. On 20 June 2014, Shire rejected a takeover attempt by AbbVie. AbbVie offered £46.11 per share (£27.3 billion or $46.5 billion in total). On 8 July, the offer was increased to $51.5 billion. On 18 July, it was announced that AbbVie would acquire Shire for $54.8 billion. On 15 October, news broke suggesting AbbVie was reconsidering their proposed takeover deal due to changes in US "Tax Inversion" law  and on 16 October AbbVie's board recommended that shareholders vote against the deal. This news sent Shire's share price down over 27%; however, AbbVie would be subject to a $1.6 billion break-up fee, payable to Shire. On 21 October, the merger was called off. In April 2018, reported that Takeda Pharmaceutical Company had an approach to acquire Shire. Days later Shire announced they had rejected all three Takeda bids. The first bid valued the business at £41 billion (£28 per Shire shares paid in Takeda shares plus £16 per share in cash), the second £43 billion (£28.75 per Shire shares paid in Takeda shares plus £16.75 per share in cash) and the third £44 billion (£28 per Shire shares paid in Takeda shares plus £17.75 per share in cash). Reuters also reported interest from Allergan however they ruled themselves out a day later. A day later Takeda increased their offer with a fourth bid, to £26 per Shire shares paid in Takeda shares plus £21 per share in cash - giving a total value of £44.3 billion ($62.1 billion). On April 24, Takeda submitted an enhanced fifth bid for the company. On April 25, Shire said that they will recommend the revised £45.8 billion ($64 billion) offer to their shareholders. The enhanced offer included a more generous cash component, with the deal offering £21.76 ($30.33) in cash for each Shire ordinary share. The same day, GlaxoSmithKline ruled out making any form of counter-bid. On 8 May 2018, an agreement was finally reached in which Shire was sold to Takeda in a $62 billion deal. Takeda’s acquisition of Shire closed on 8 January 2019. The Annual Revenue figures in the following table were drawn from the company's 2015 preliminary results. In July 2014, Shire licensed the rights to the investigational Hunter syndrome compound, AGT-182, from ArmaGen for up to $225 million. Flemming Ørnskov, was the company's chief executive officer through January 8, 2019 with Takeda's Acquisition of Shire. Ginger Gregory as Chief Human Resources Officer, Jeffrey Poulton as CFO, and Philip Vickers as Head of R&D. James Bowling vacated his position as interim CFO in the aftermath of the collapse of the AbbVie inversion deal. The Chair of Shire's Board of Directors was Susan Kilsby. ^ a b c "Preliminary Results 2017" (PDF). Shire. Retrieved 17 March 2018. ^ "Join Us". shire.com. Retrieved 12 April 2017. ^ "Shire is one of the big stars". Sunday Times. 27 November 2011. Retrieved 26 March 2016. ^ Grimond, Magnus (26 February 1997). "Shire buys US drugs delivery firm for pounds 105m". The Independent. Retrieved 22 March 2016. ^ Grimond, Magnus (4 August 1997). "Investment Column: Shire focuses on buying Richwood". The Independent. Retrieved 22 March 2016. ^ Dunne, Helen (10 May 2001). "Canadians give go-ahead for Shire takeover of BioChem". Telegraph.co.uk. Retrieved 22 March 2016. ^ "U.K. drug maker agrees to buy Transkaryotic". readabstracts.com. Retrieved 22 March 2016. ^ "Shire buys New River Pharmaceuticals for $2.6 billion". pharmatimes.com. Retrieved 22 March 2016. ^ "Shire to buy Jerini in $521M deal". FierceBiotech. Retrieved 22 March 2016. ^ "Shire forges $565M buyout deal for Movetis". FierceBiotech. Retrieved 22 March 2016. ^ Grogan, Kevin (18 May 2011). "Shire swoops to buy Advanced BioHealing". pharmatimes.com. Retrieved 22 March 2016. ^ Reuters Editorial (15 March 2012). "Shire to buy U.S. biotech firm for up to $325 million". Reuters. Retrieved 22 March 2016. ^ "Shire Acquires Lotus Tissue Repair". GEN. 8 January 2013. Retrieved 26 March 2016. ^ "Shire to Buy Eye-Drug Maker SARcode for $160 Million". Bloomberg. 25 March 2013. Retrieved 26 March 2016. ^ "Shire Buys ViroPharma for $4.2 Billion to Add Orphan Drug". Bloomberg. 11 November 2013. Retrieved 26 March 2016. ^ Trista Kelley & Makiko Kitamura (11 November 2013). "Shire Buys ViroPharma for $4.2 Billion to Add Orphan Drug". Bloomberg.com. Retrieved 22 March 2016. ^ "Fibrotech acquired by Shire for US$75M plus milestones". FierceBiotech. ^ "GEN - News Highlights:Shire Acquires Lumena for $260M+". GEN.
^ "UK drug firm Shire to buy US rival in $5.2bn deal". BBC News. Retrieved 22 March 2016. ^ "Shire Acquires Foresight Biotherapeutics for $300M". GEN. Retrieved 22 March 2016. ^ "Dyax Corp. Announces Early Termination of Hart-Scott-Rodino Waiting Period - Business Wire". businesswire.com. 2 December 2015. Retrieved 22 March 2016. ^ "Shire to Acquire Dyax for Up to $6.5B". GEN. Retrieved 22 March 2016. ^ "Baxter's Board of Directors Approves Separation of Baxalta and Declares Special Dividend of Baxalta Stock". investor.baxter.com. Baxter International Inc.
^ "Shire, Baxalta Tie the Knot in $32B Merger". GEN. Retrieved 22 March 2016. ^ Javed, Ayesha (16 April 2018). "Shire sells oncology unit for £1.7bn as Takeda boss prepares potential bid". The Telegraph. Retrieved 16 April 2018. ^ David Welch, Matthew Campbell & Simeon Bennett (21 June 2014). "AbbVie Said to Consider New Bid After Shire Rejects Offer". Bloomberg. ^ Caroline Chen, Drew Armstrong & Simeon Bennett (8 July 2014). "AbbVie Raises Offer for Shire to $51.5 Billion". Bloomberg. ^ Simeon Bennett & Caroline Chen (19 July 2014). "AbbVie Is Biggest to Quit U.S. Address in $55 Billion Shire Deal". Bloomberg. ^ Albertina Torsoli, Kristen Hallam & Oliver Staley (15 October 2014). "AbbVie Reconsidering Shire Sends Inversion Targets Down". Bloomberg. ^ Albertina Torsoli, Manuel Baigorri & Matthew Campbell (16 October 2014). "AbbVie Board Recommends Holders Vote Against Shire Deal". Bloomberg. ^ Albertina Torsoli, Manuel Baigorri & Matthew Campbell (16 October 2014). "Shire Shares Extend Drop After AbbVie Backtracks on Deal". Bloomberg. ^ Philippidis, Alex (21 October 2014). "AbbVie, Shire Call Off $51.7B Merger". GEN News Highlights. Gen. Eng. Biotechnol. News. ^ "Statement re Proposal from Takeda Pharmaceutical Company Limited". www.shire.com. ^ Roumeliotis, Greg. "Shire rejects $63 billion Takeda bid as Allergan drops pursuit". ^ Editorial, Reuters. "Exclusive - Allergan in talks to acquire Shire, competing against..."
^ Nussey, Sam. "Japan's Takeda sweetens $62 billion Shire offer". ^ Martin, Ben. "Shire willing to back $64 billion Takeda bid, market signals doubts". ^ "Shire backs Takeda's £46bn offer". 25 April 2018 – via www.bbc.co.uk. ^ Nussey, Sam. "Shire bid marks Takeda's latest - and biggest - push for global status". ^ Editorial, Reuters. "GSK rules out entering Shire takeover battle". ^ "Takeda Clinches $62 Billion Deal to Buy Drugmaker Shire". Bloomberg.com. Retrieved 8 May 2018. ^ Editorial, Reuters. "Japan's Takeda agrees $62 billion takeover of Shire". U.S. Retrieved 8 May 2018. ^ a b "Preliminary Results 2015" (PDF). Shire. Retrieved 26 March 2016. ^ "GEN - News Highlights:ArmaGen Licenses AGT-182 Rights to Shire for Up to $225M". GEN.
^ Bennett, Simeon (10 June 2013). "Shire's New CEO Adds Sales Staff, Damps Takeover Talk". Bloomberg Business News. Retrieved 22 March 2016. ^ Shire Staff (22 March 2016). "Leadership: Executive Committee". Shire. Retrieved 13 February 2015. ^ Schaps, Karolin & Hirschler, Ben (20 October 2014). "Shire CFO to leave drugmaker as AbbVie drops bid". Reuters. Retrieved 22 March 2016. ^ Shire Staff (22 March 2016). "Leadership: Board of Directors". Shire. Retrieved 22 March 2016. This page is based on the Wikipedia article Shire (pharmaceutical company); it is used under the Creative Commons Attribution-ShareAlike 3.0 Unported License (CC-BY-SA). You may redistribute it, verbatim or modified, providing that you comply with the terms of the CC-BY-SA.